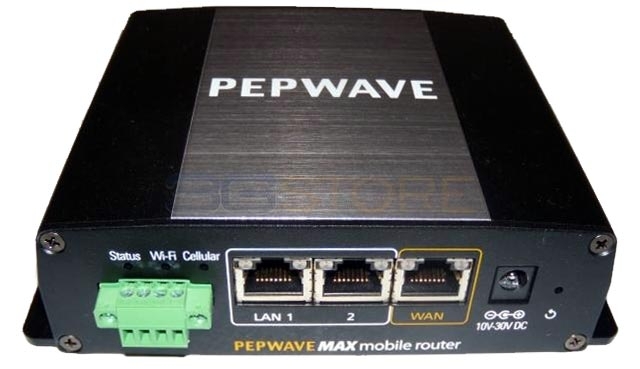 Congrats to Gary V. of Glendale, Wisconsin who just won a $25.00 Restaurant.com gift code for writing a review for Pepwave MAX BR1 Router With Embedded US/Canada/South America 3G/4G Modem at 3Gstore.com! Every week we randomly pick one product review from the previous week and award the writer a $25.00 gift code. We appreciate ALL the reviews our customers write, whether they are positive or negative - honest reviews like Gary V.\'s help other customers decide if the product is right for them. After you purchase a product from 3Gstore.com, we encourage you to log in and 3Gstore.com and leave a review letting people know how the product worked for you - you'll be helping others, and you'll automatically be entered to win a restaurant.com gift code!. Exceptional product with advanced features (and for a 3G/4G router, too). Rock solid performance and great signal strength. 3gStore support was superb....!!!! 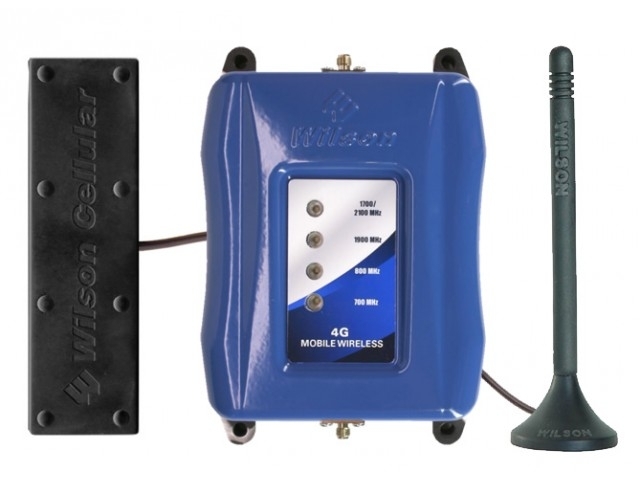 VANCOUVER, British Columbia -- Sierra Wireless today announced the launch of the company's next generation of Sierra Wireless AirLink® gateways. The AirLink GX450 4G mobile gateway and the AirLink ES450 4G enterprise gateway offer support for a broader array of LTE frequency bands, making them compatible with networks worldwide. "With the launch of our next-generation AirLink gateways, customers can purchase a single solution for deployment across many different regions, simplifying procurement and management. It also allows the customer to leverage the growing capacity of LTE networks as they evolve and incorporate different frequency bands to carry increasing traffic," said Emmanuel Walckenaer, Senior Vice President, Enterprise Solutions for Sierra Wireless. - Added 2-factor authentication support for enhanced security. You now have the option to enforce 2-factor authentication for all users in your organization. Note: Because signing-out is not effective unless the browser has signed out from Google as well, Google ID authenticated sessions will no longer auto sign-out on idle sessions. - Added the ability to change Web Admin password on group settings and device details screens. - Added device level PepVPN status. 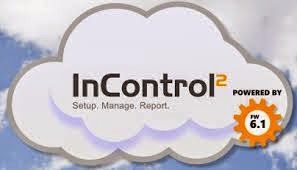 This page is available even if the device's PepVPN is not being managed by InControl 2. 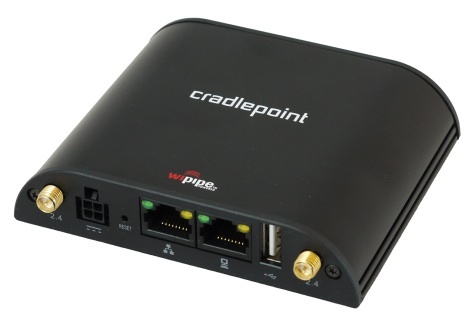 This firmware for the CloudGate adds an IPSec server feature and improved KNX functionality. 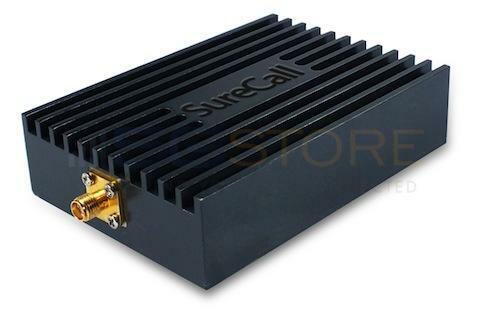 Congrats to Robert H. of Harold, Kentucky who just won a $25.00 Restaurant.com gift code for writing a review for SureCall Verizon 4G LTE Direct Connect Amplifier w/ Mag Mount Antenna [700Vmhz ONLY] at 3Gstore.com! Every week we randomly pick one product review from the previous week and award the writer a $25.00 gift code. We appreciate ALL the reviews our customers write, whether they are positive or negative - honest reviews like Robert H.\'s help other customers decide if the product is right for them. After you purchase a product from 3Gstore.com, we encourage you to log in and 3Gstore.com and leave a review letting people know how the product worked for you - you'll be helping others, and you'll automatically be entered to win a restaurant.com gift code!. This little amp is great for anyone who travels and really needs a good solid connection. it is so small and easy set up and works with a variety of antenna setups. And performance is really amazing. Highly recommended. This tip sheet explains how to pair your Trakdot device to your mobile device via Bluetooth. Once paired, you'll be able to use the app to locate your Trakdot when within range. SureCall is welcoming in the New Year in a big way by introducing two new concepts (3 products) that add a lot of variety to their signal booster line. The first is called the Fusion7 which is possibly the most versatile SureCall product to date. 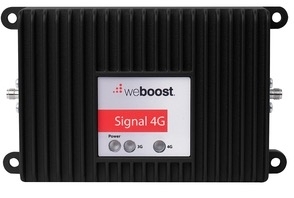 The Fusion7 expands upon the success of the Fusion5, a 5-band cellular booster, by adding the ability to boost WiFi and HDTV signals. One of the biggest hassles of traditional repeater kits is the need to cleanly run a long cable through a home from the external antenna to the amplifier. SureCall’s new EZBoost 3G and 4G versions will be quite appealing to those looking to cut down on the number of cables in their setup. The Fusion7 , EZBoost 3G and EZBoost 4G will all be available from 3Gstore this Spring! You can visit the product pages now and sign up to be notified the moment they become available. Pricing is subject to change. 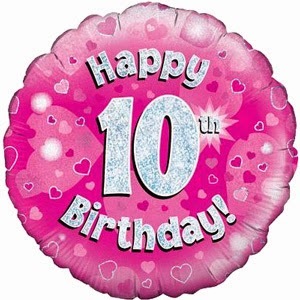 It was 10 years ago today, that EVDOinfo.com was born. EVDOforums.com came soon after that. Followed by Booster-Antenna.com which then changed to 3Gstore.com. So much has changed in this industry over the last 10 years and we are so proud to be part of it. We are really looking forward to see where things go over the next 10 years. 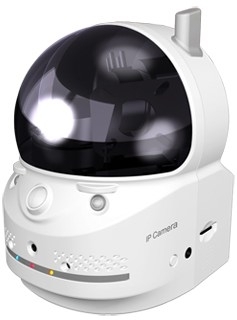 Congrats to Robert M. of Phoenixville, Pennsylvania who just won a $25.00 Restaurant.com gift code for writing a review for CloudCam HD Mega-Pixel Pan/Tilt Day/Night IP Camera w/ MicroSD Slot at 3Gstore.com! Every week we randomly pick one product review from the previous week and award the writer a $25.00 gift code. We appreciate ALL the reviews our customers write, whether they are positive or negative - honest reviews like Robert M.\'s help other customers decide if the product is right for them. After you purchase a product from 3Gstore.com, we encourage you to log in and 3Gstore.com and leave a review letting people know how the product worked for you - you'll be helping others, and you'll automatically be entered to win a restaurant.com gift code!. This is quite a nifty little camera. The first great plus is that it is SO easy to configure, get up and running and remotely monitor that it is by far way ahead of any other product I've used before. Shots are well defined and show great detail - even over an AT&T wireless card system. Pan and tilt gives a little audible 'think' when used - but I'm not finding that to be any real drawback. You can tinker with all kinds of setting (even remotely) until you get the camera 'dialed in' exactly to your liking. One con is that in order to take the best advantage of the camera's pan and tilt it needs to be mounted 'up side down' and as high as you can. If simply 'set on its base' (especially low) the pan works fine but the tilt is VERY limited as to below level sight line. I have two of these cameras running and am quite pleased with both. I gave it 4 stars instead of 5 only because in my mind such a great camera is 'taken down a peg' by the lack of some kind of 'zoom' capabilit y.
Congrats to Kent W. of Tucson, Arizona who just won a $25.00 Restaurant.com gift code for writing a review for Wilson Mobile 50db 5-Band SmarTech III Repeater Kit - 460108 [700/800/1900/1700/2100mhz] at 3Gstore.com! Every week we randomly pick one product review from the previous week and award the writer a $25.00 gift code. We appreciate ALL the reviews our customers write, whether they are positive or negative - honest reviews like Kent W.\'s help other customers decide if the product is right for them. After you purchase a product from 3Gstore.com, we encourage you to log in and 3Gstore.com and leave a review letting people know how the product worked for you - you'll be helping others, and you'll automatically be entered to win a restaurant.com gift code!. Great device. we have it installed in our RV to get stronger signals. used with phones and hotspot. both Verizon and ATT. love it!! At the end of each year, we like to gather our top 10 products to share with our customers. We rank them from 1 to 10 based on a combination of things - popularity, the number of customer reviews, and the average rating customers gave the products. If you happen to have ordered any of these products from 3Gstore.com, feel free to leave your own review to help others! You will also be entered into our raffle where each month we randomly choose any review (good or bad) and give the winner a $25 Restaurant.com gift code!